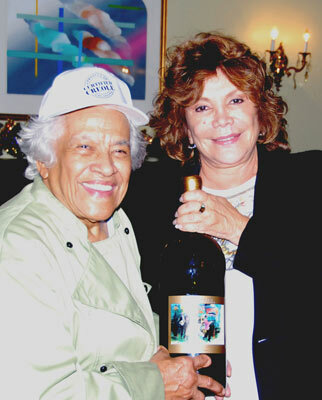 Leah Chase (left) and Iris Rideau. If you call Leah Chase, chef and co-owner of New Orleans’s soul restaurant Dooky Chase-which might just actually be the Crescent City’s true soul-you have to wait until she moves around some pots and plates and can let her cooking be. 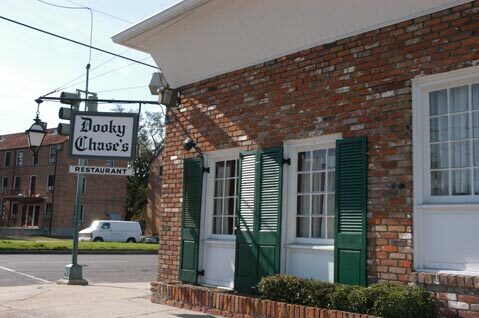 Except for the past few years of post-Katrina recovery, Dooky Chase has been open since 1941. Hailed as the “Queen of Creole Cooking,” a title she laughs about, Chase, now 85, is about to come to Santa Barbara for her first time. Good news for us, as we get to enjoy her oyster po’ boys just by driving to the Santa Ynez Valley. Dooky Chase restaurant in New Orleans. In the meantime, we can all attend Rideau’s birthday celebration close to home, enjoy Leah Chase’s po’ boys and a host of other New Orleans delights, drink Iris Rideau’s wine including the 2006 Ch•teau Duplantier Cuvee (syrah, mourvedre, and grenache-what’s yummier than that? ), stomp some grapes, and enjoy music that will end with the famous Second Line dance through the property. With Leah Chase in attendance, there will be at least one saint marching in. Leah Chase comes to Rideau Vineyard (1562 Alamo Pintado Rd., Solvang) for Iris Rideau’s annual birthday bash on Saturday, September 13, from 11 a.m.-4:30 p.m. Call 688-0717 or see rideauvineyard.com.